Stream anti-structure, a live performance by electronic musician and audiovisual artist Julien Bayle, broadcast as part of SHAPE platform’s collaboration with the radio station network Radio Campus France. anti-structure is a live performance, created by using only the hardware modular Eurorack system. Julien Bayle starts without any wires patched and progressively builds a network of signals between modules, developing sounds and modulation on-the-fly. The title “anti-structure“ refers to the beat which doesn’t structure the sounds in their whole (as opposed to what we can often notice in tracks of electronic music). Here, the sound seems structured by itself and the beat is just another element. Sounds seem to mirror and merge themselves into various asymmetrical abysses and spaces emphasized by dark reverberations. The anti-structure defines itself. Julien Bayle is a multidisciplinary artist based in France and working at the juncture of sound & visuals. 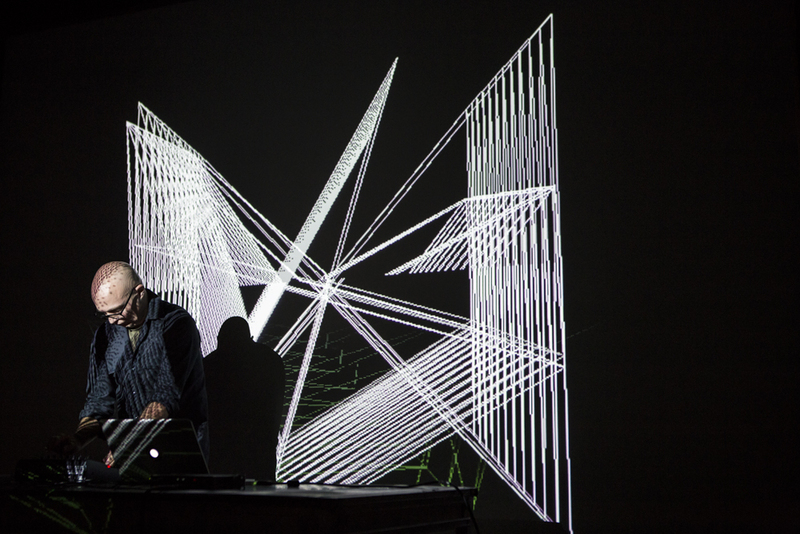 He merges visual art, music composition and a physical approach of sound art and data visualization by creating advanced programmed installations and audio/visual live performances. He attempts to address the question of disrupted continuum, interference and representation of concepts by using the physics of sound. His work is based on both experimentation and programming, employing concepts of complexity and chaos as guides. Bayle will be performing at the RIAM festival in Marseille on 22 October. Keep track of all collaborations between SHAPE and Radio Campus by visiting this page.